There are 16134 posts in this topic. You are on page 322 of 323. Looking to buy a stock Sparky if anyone has one they want to part with. Just got one from a pinsider, thanks! Okay, so a weird new problem with my Metallica Pro. Started playing a game today and the GI lights all went out after about 30 seconds of gameplay. I've had the GI lights fizzle before and I changed the associated fuses and all was well. This time around, I changed the fuses and with the coin door open all of the lights are on, went into test and all of the GI and flashers work. As soon as I close the coin door all the lights go out. Any ideas? So, I let the game sit for 10 mins. With coin door closed, turned game on, all lights came on for about 1 minute, all red LED lights on at all fuses on the board, after that 1 minute, all the GI lights go out as the left hand row of GI fuses LEDs fizzle and then turn out. Turn game off. Open coin door and turn game on, all the left hand row of GI fuses are LED lit and stay lit, meanwhile F5, 7, 8 and 10 are off (which I think is normal with coin door open, I did change these fuses out for new as well while I was changing fuses). Turn game off, then on again with coin door closed...starts normal, all LEDs on the board are lit until about a minute later when the GI fuses row fizzles, then out along with the GI lights. What am I missing? Ideas? In addition, the last time I turned the machine on, before the GI fuses fizzled, in the 20 seconds before they did, I hear a constant wierd sound for the board, sounds like Morse code over a radio...??? Not sure if this detail helps anyone with this issue. So I once again went through all wires and all connections. No wire touching any other wire anywhere. All attachments to the board secure and in place. 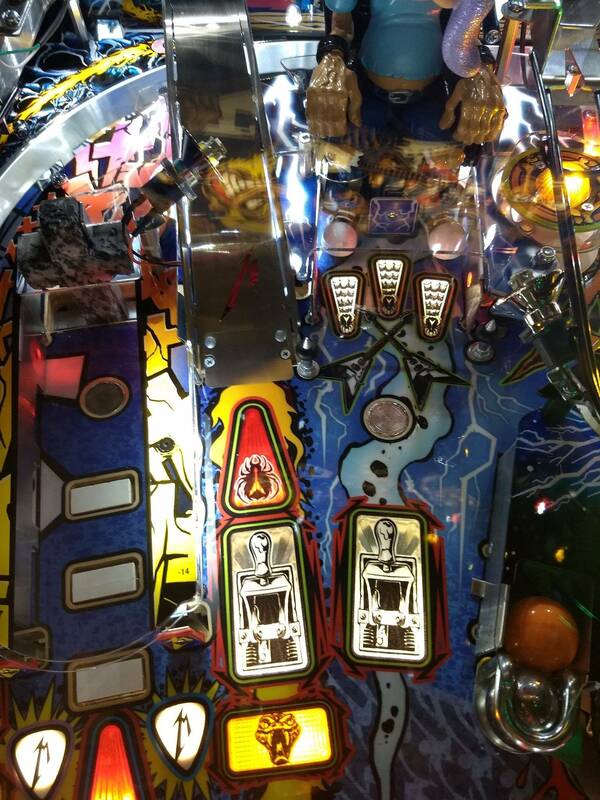 ..With the coin door open, all of the GI bulbs work and all red LEDs on the board are lit. Test through all lamps, all is good, test all switches, all is good, however, when the corn door is closed (activating the coils), or activating any coil at all in test menu, immediately knocks out the GI and all red LED lights on the board associated with GI flicker out within seconds. 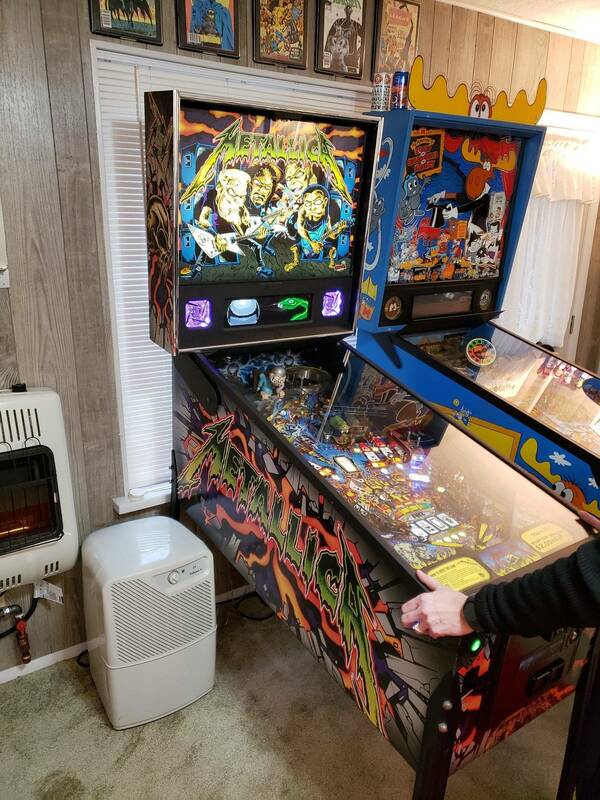 Turn game off, coin door open, turn game on, all is well again, until I test a coil, any coil, and GIs go out again in seconds.... No tech errors in menu, no alerts. And again, I hear this tiny little noise from the board itself, sounds like Morse code over a radio, really weird. The board itself looks good, no burned areas, looks like a practically brand-new board..
Could this be some transistor issue? And if so, where? I'm at a loss with this one! If anyone has any ideas on this, I certainly would appreciate it!!! So I once again went through all wires and all connections. No wire touching any other wire anywhere. All attachments to the board secure and in place. ..With the coin door open, all of the GI bulbs work and all red LEDs on the board are lit. Test through all lamps, all is good, test all switches, all is good, however, when the corn door is closed (activating the coils), or activating any coil at all in test menu, immediately knocks out the GI and all red LED lights on the board associated with GI flicker out within seconds. Turn game off, coin door open, turn game on, all is well again, until I test a coil, any coil, and GIs go out again in seconds.... No tech errors in menu, no alerts. And again, I hear this tiny little noise from the board itself sounding like Morse code over a radio, really weird. Nothing looks grossly abnormal with the board itself, nothing looks burned, looks like I'm basically brand-new board. Could this be some transistor issue? And if so, where? I'm at a loss with this one! If anyone has any ideas on this, I certainly would appreciate it!!! I'm at a loss with this one! If anyone has any ideas on this, I certainly would appreciate it!!! There are always more methods to troubleshoot. Pull the fuses for the coils and test. Unplug GI or Coil connections and test. You may even find combinations of connections that cause the issue. With the GI unplugged or fuse pulled, check each coil and flasher for operation. Test the boards in another pin. Also, you man want to start a separate troubleshooting thread in the tech forum to get the attention of a lot of experienced techs. Airball destruction....not sure when happen noticed it when pushing spot lamp LED back in that seems to always want to come out . The corner piece was hanging , I push it up some prior to taken photo. 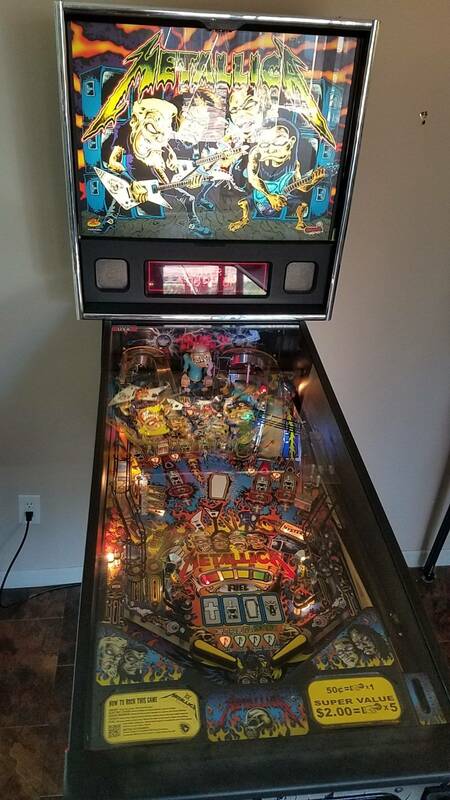 j_m_, can you clarify what you mean on the upper right side playfield with wider rubber, etc.. on removing the ramp and wireform ramp how you get the gate off? When I change to titans I avoided that back area and left stock rings . I been meaning to get in there. Nice choice on the pearl black for captive ball. so I think I got it all figured out. I took the board off and brought it to my local distributor and checked it against his machine, board was fine. I started thinking, the last major edition that I put was pinstadiums, and there is UV glow with that. 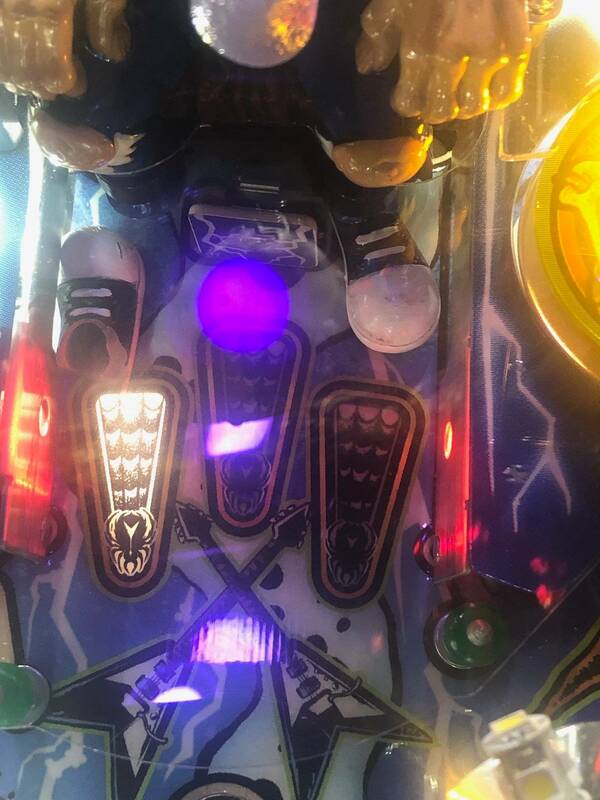 I also had the "Ride the Lightning" UV glow strip hovering over the back of the Playfield connected to a flasher. After installing the pinstadiums, which are really great on this machine by the way, in my opinion, I got a week or more of more routine play, and that's when the issues started coming about... Knowing that the board was good, and all wiring was good, I continued the troubleshooting through the mods that I have put in this machine over the course of this last year (a case of too many mods, hahaha?) 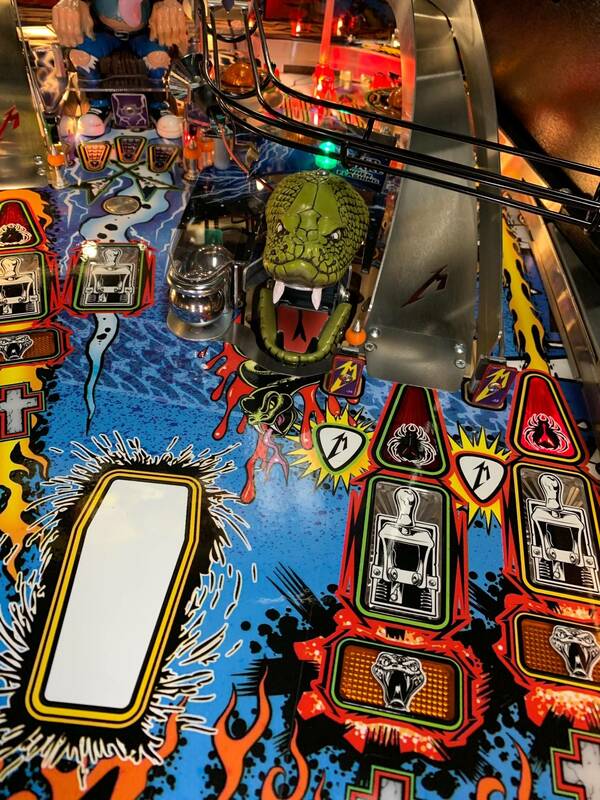 So, as my first move I disconnected the pinball refinery UV strip and, well, that seems to have done it. I guess having 3 total strips of UV light causes entirely too much draw from the system causing the board to go crazy. Anyway, seems like a fix for now, and that's good enough for me! Thought I would pass on this information along in case anyone else has one of those refinery UV strips (which do you add a nice UV glow in the absence of pain stadiums) and is opting on installing some pinstadiums. Was thinking about adding the fang mod to the snake. Can someone tell me if it’s an easy install? Dead simple. Do the tongue while you're at it if you haven't already. On the back of the snake mech, there are two longer screws (flat bottom, not pointed). Can't find anything in the manual. Anyone know what they are? The PDI or HD glass is important if you also have the interactive backbox mod and/or a ColorDMD. 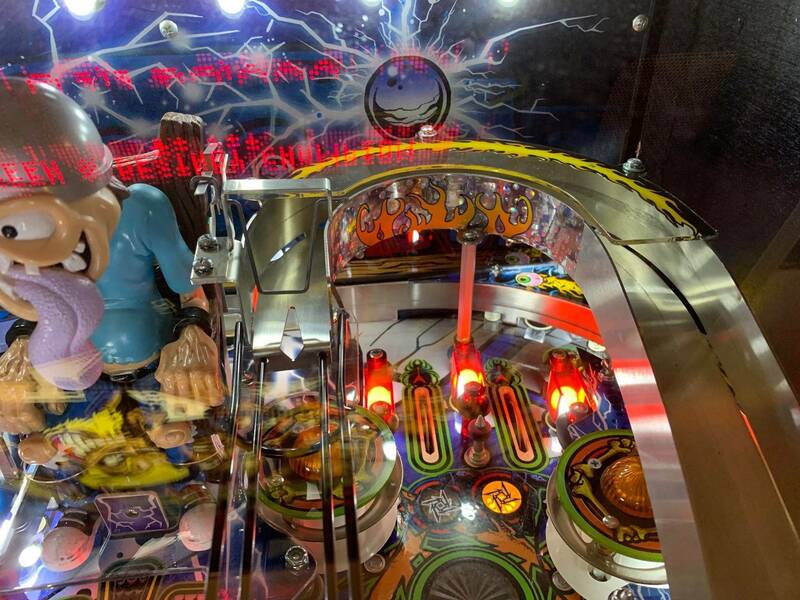 Without it, you might not see the back of the playfield during play. 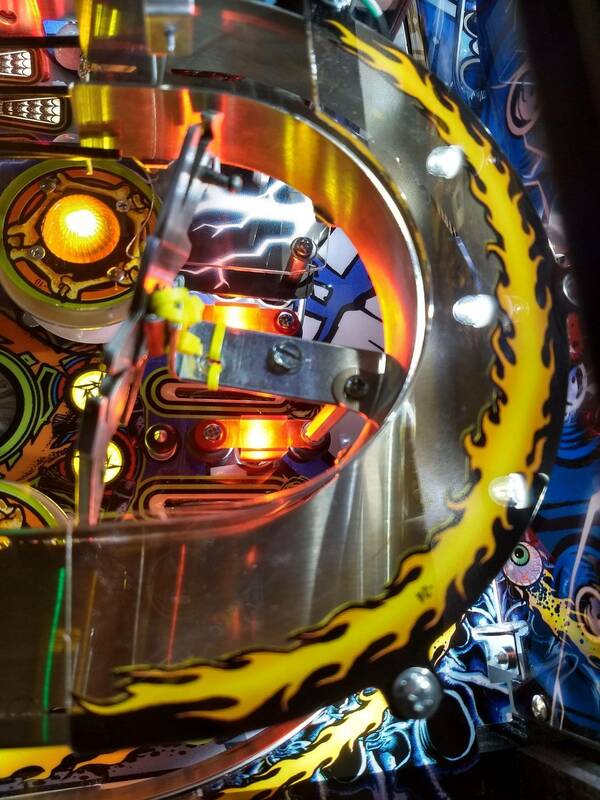 I can see my entire playfield perfectly with regular glass and a ColorDMD for what it's worth. Curious ,are there any sound differences between the PDI the HD and the tempered stock glass That comes with the machine? I've had them all lined up side by side and they were all silent. 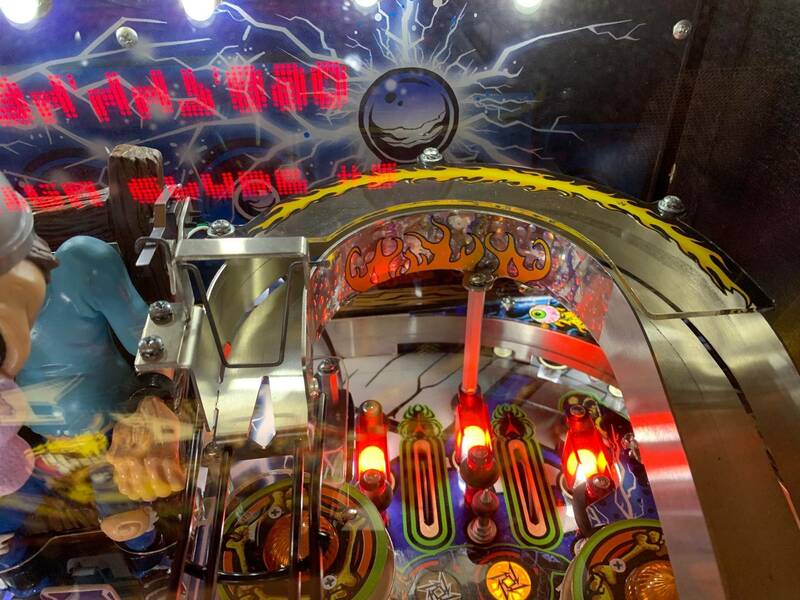 What everyday tempered Pinball glass has never spoken to you?! 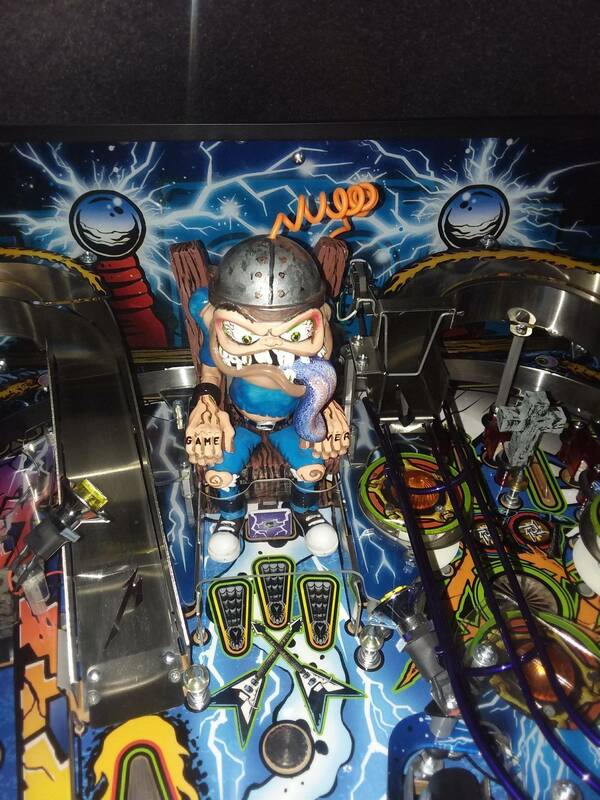 Meaning.... does one tone down the playfield noise more then others? What do you use to clean the 2 metal ramps? I always just used a little novis 1 sprayed on terry cloth rag and buffed them, but know there is a better way and want to know. Also, Rickwh airball plastic around Sparky. 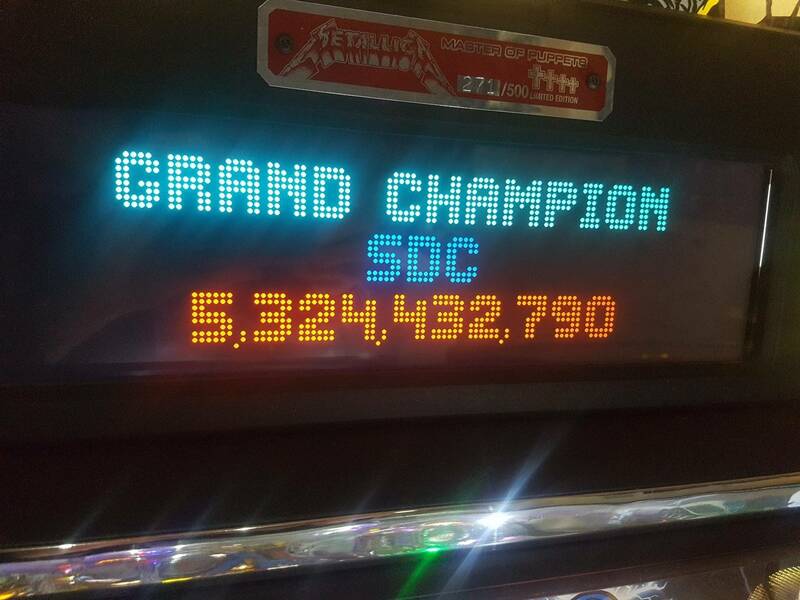 Had this on since I got the game in 2014 and magnet, and playfield looks good after 5 years. What do you use to clean the 2 metal ramps? I always just used a little novis 1 sprayed on terry cloth rag and buffed them, but know there is a better way and want to know. 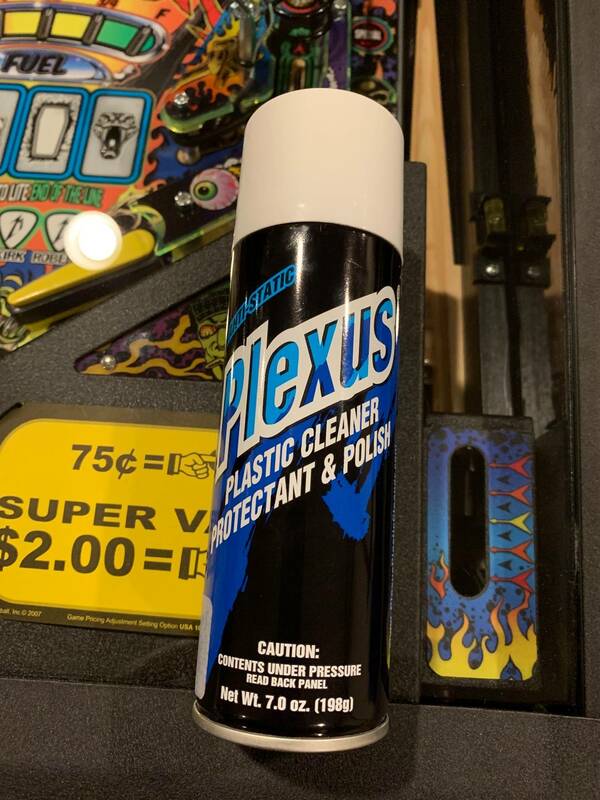 I use Plexus plastic cleaner on the ramps. Works great! Added the Belt buckle mod today. 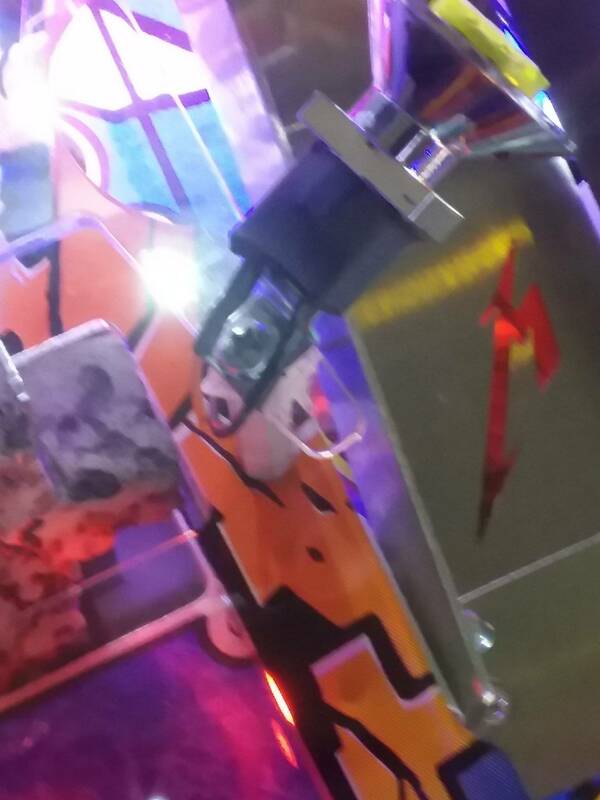 Anyone have a photo of where they put washers on the snake mech to lower it on the pf. I did mine a while ago, but wanted to compare as it's still not perfect. Nice...what did you use to attach it to post, and link to where to buy? Also, I am not sure why you received negative down votes for this. 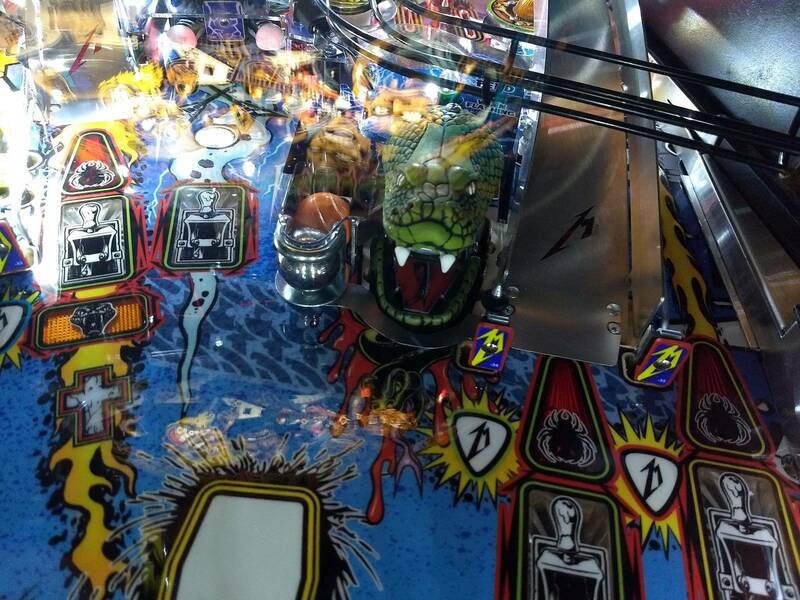 Cause it's a belt buckle on a pinball machine. And it's not quite the Metallica logo. It's a chinese knock off. I posted side by side pics at somepoint. There are plenty of mods out there which are way worse if you ask me. The buckle was bought on Amazon for like $12. I improvised and looked around my tool box to see what I had available. I found a 1 1/2" Stanley corner brace and a 4" Stanley mending plate. I attached the corner brace with small zip ties. 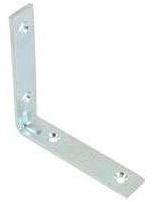 I used a small bolt and nut with more zip ties to attach the corner brace to the mending plate. Lastly I just aligned the mending plate hole under the ramp post. It is very secure and does not block view of any game play. Adds a nice touch. I like it. Knock off or not. The previous owner put a reflective flame decal there on mine. 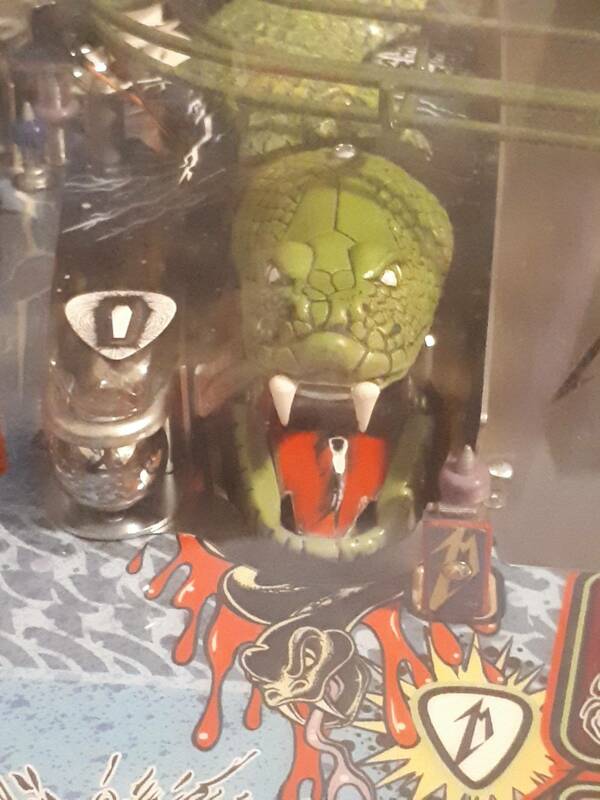 No idea where they found it, but I think it looks great in person. Came out twice. Don’t remember seeing it get hit . Is there a trick to keeping it in the socket? I already tilted up a little more. Also I’m having the stern flipper buzz happening on left flipper. Does stern usually help with this at all? Not technically an owner but I am just throwing down the gauntlet to all you MET owners here. I am borrowing this LE from a friend. 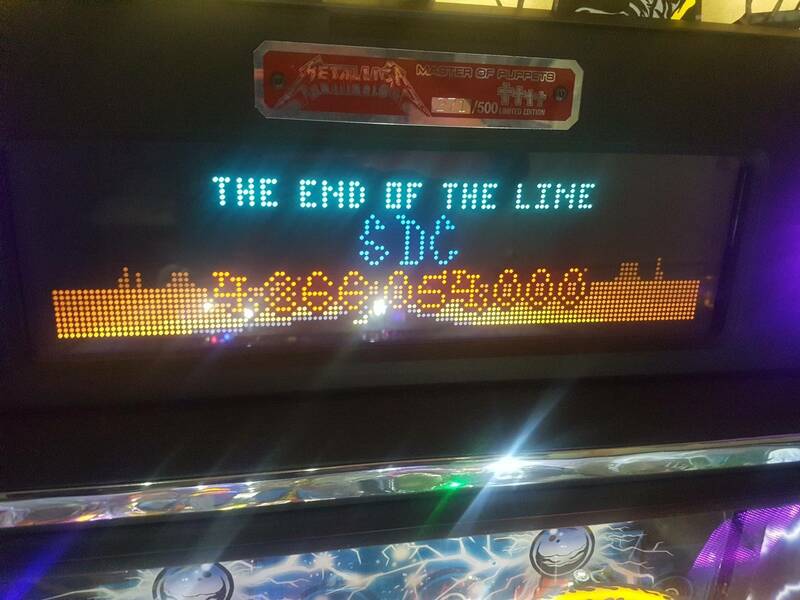 this was a 2 billion end of the line collection scoring 600 million collects while it ran a few times over. Absolute game of my life! Damn! That was one hell of a game. I can’t even get 1 billion and I own one. Nice job! That's awesome, how long was the game? About 45 minutes. I survived the distractions of a phone call and also being called back in the house for dinner! 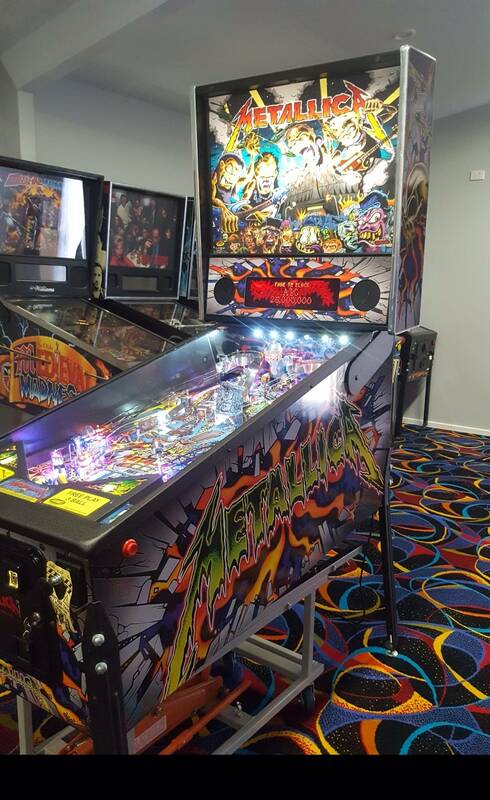 Is it normal for SAM games like MET to have a rather loud buzz or humming noise from the flipper coils? I checked the EOS switches and they seem to be working fine. I had this problem, and I made a crappy gasket from auto gasket material at Autozone. 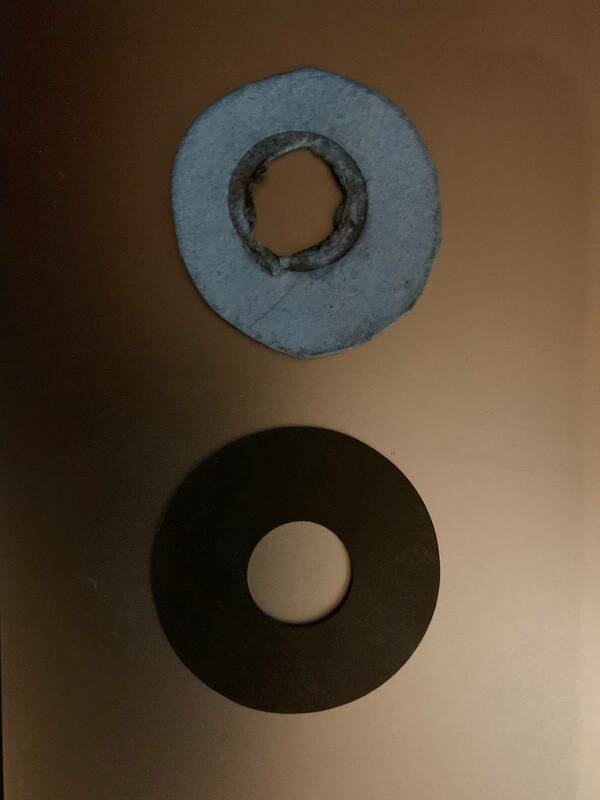 I am not a neat cutter, so I also got some Neoprene washers made. They are black 1/64" thick, 1 3/8 in in diameter with a 1/2" hole in the center. I had to get a lot made, so if anyone is interested, LMK. I call them "Buzzkill" I used 2 on my left flipper and one on my right and the flipper noise went away. The ugly blue one worked, but I wasn't proud to have it in my machine. 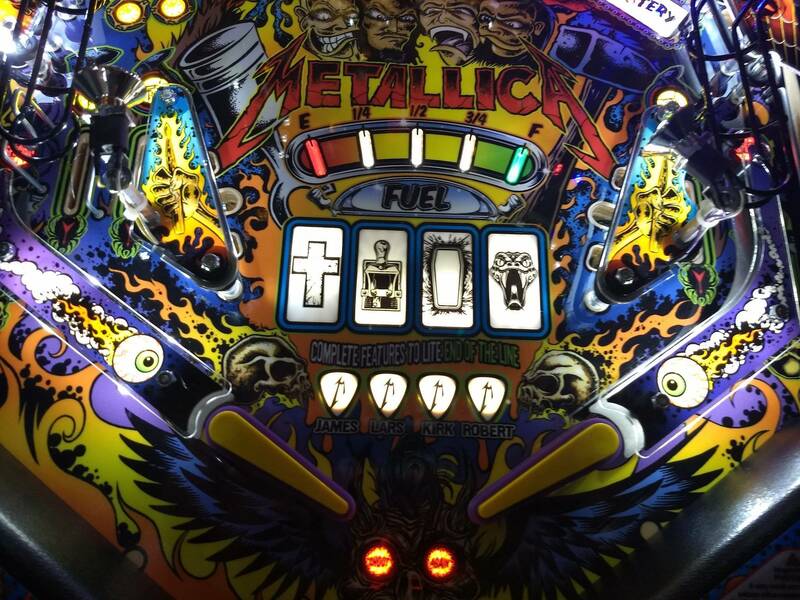 Since it's Metallica, it wanted a "Blackened" one. 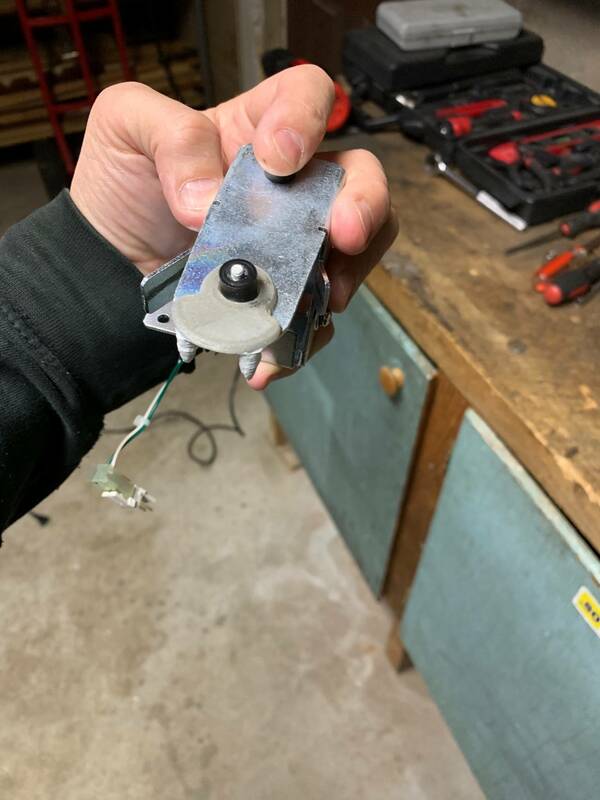 To install, you move the spring washer to the other side and put some Buzzkills between the coil and the coil stop where the Spring washer was. Good score. Beats my best by a factor of x16 or x17, and I own it! Bet you’d keep it if you could after that. My Metallica Premium recently lost sound to the backbox speakers. I looked through the manual to see if any of the fuses are associated with them and couldn't figure it out, any help or direction would be appreciated. Thank you. Pins 1 and 2 of connector J10 go to the backbox speakers. Start by checking those wires with your meter to make sure everything is connected. Had this happen to my premium in 2015. I needed a new board. Out of warranty, but my distributor got Stern to cover it. I had to send the defect board back to Stern. Wasn't the bulb that got hit , those work they way out from vibrations, it's the plastic that broke from an airball. Corner piece snapped right by spotlight. Quick question for owners: I have a pro model I picked up yesterday. I noticed a knocking sound coming from the back of the game (not the knocker though). It happens after I launch the ball and when the ball goes along the outer orbits. Is this normal for the game or should I be troubleshooting this? Yup! There is a mechanical post there. 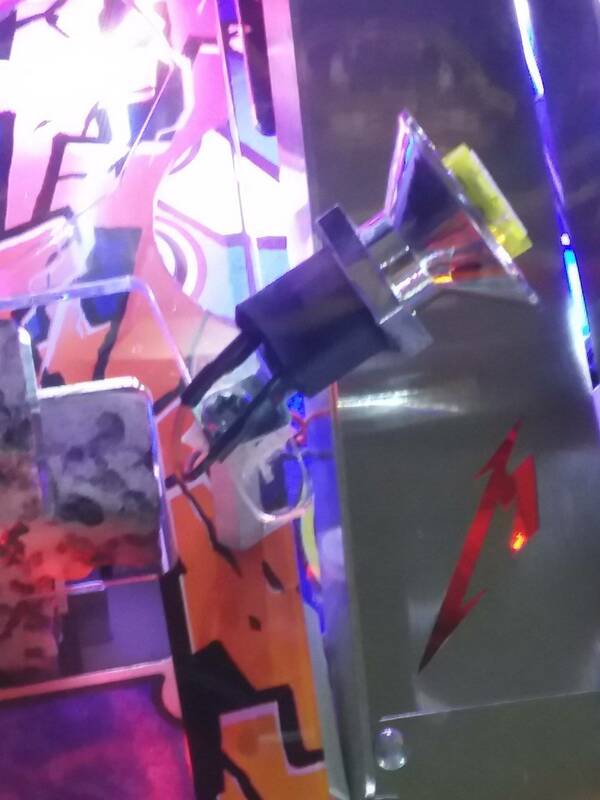 It’ll drop if you hold the left flipper during the plunge, or if you start Lady Justice mode, or if the orbit shot is made as part of a combo, and probably a couple other modes. 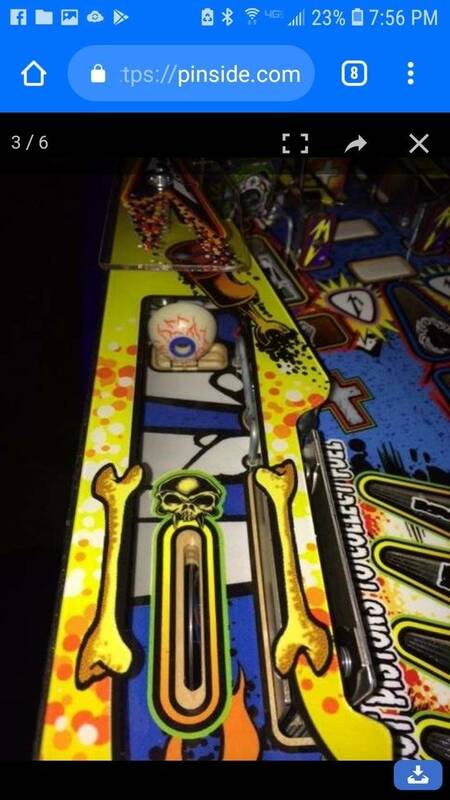 If you full plunge without holding the left flipper, the ball will hit that post and roll back down through the pop bumpers. During normal play if you shoot an orbit, that post will be up and the shot will bounce back from that post either down the pops on the right orbit shot or roll back out of the left orbit. Thank you. The game is still in my garage so I haven’t been able to get a lot of time on it (should have it in the game room this weekend). I’m going to carefully study the rule sheet this week. Glad to add this one to the collection. Awesome game and I really wanted a music themed game. 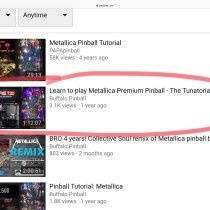 YouTube ‘ Learn To Play Metallica Premium Pinball ‘. 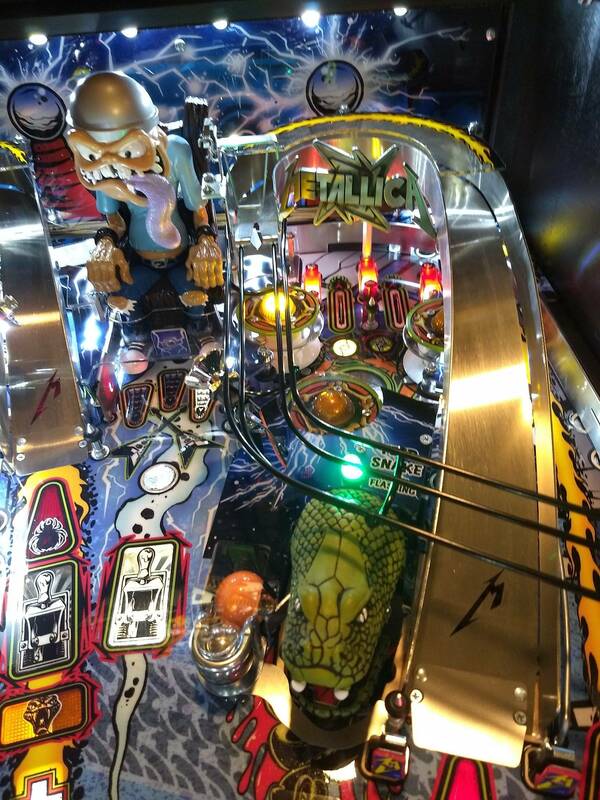 It’s by Buffalo Pinball. 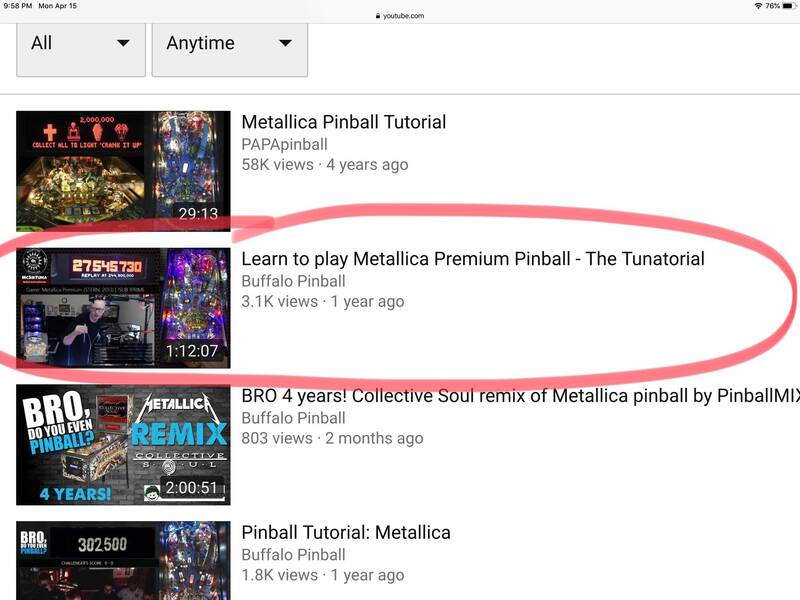 This is the Best tutorial for Metallica.